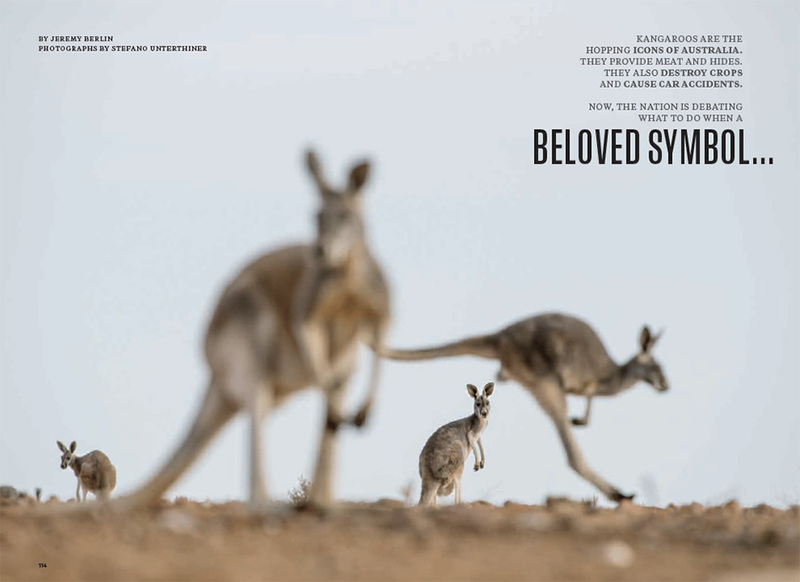 After working for several months in the field, my kangaroo story is now published in the February issue of National Geogrpahic Magazine. The story is written by Jeremy Berlin, in a perfect and professional way, as usual. However, from what I’ve learnt during this three months assignment, Kangaroos are NOT a pest. During 2017 only, about 1.5 millions ‘roos has been killed: it’s the largest (legal) land-based wildlife massacre in the world. And for what? Mainly, to produce dog food! A very sad fate for this ‘beloved symbol’….